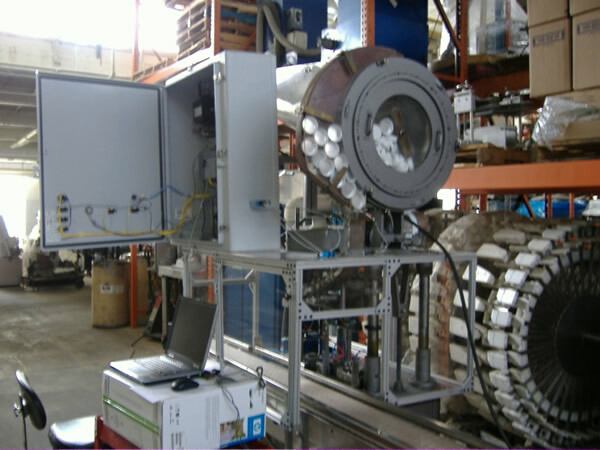 Berks Plant Design and Maintenance, Inc. offers complete retrofitted and custom built machinery. These services range from custom designed units built from the ground up for the most unusual applications and retrofits to modify an existing machine or core to performing a given application to complete control replacements and upgrades. These services are always inclusive of full customer specified factory acceptance testing as well as full warranties. Call or use our contact us form to discuss your needs with a technician today! Custom Built Clean Room installed and integrated to Fogg 36/10 Filler Capper Monoblock. 1995 Ave 24/24/6 Rinser-Filler-Capper Triblock. Unit was set for 500 mL, 710 mL, 1 L, 1.5 L PET water - 28mm flat and sport closures. This used Triblock Rinser-Filler-Capper was in like-new condition and was provided to meet the customer's project requirements. This machine was supplied with integration systems configured prior to ship. Berks Plant Design and Maintenance provided the install and integration of this machine on customer's site. This unit was disassembled, completely redesigned, assembled, and tested. This was a standard mechanical chuck capper, which we converted to an overcapper for a very difficult application. 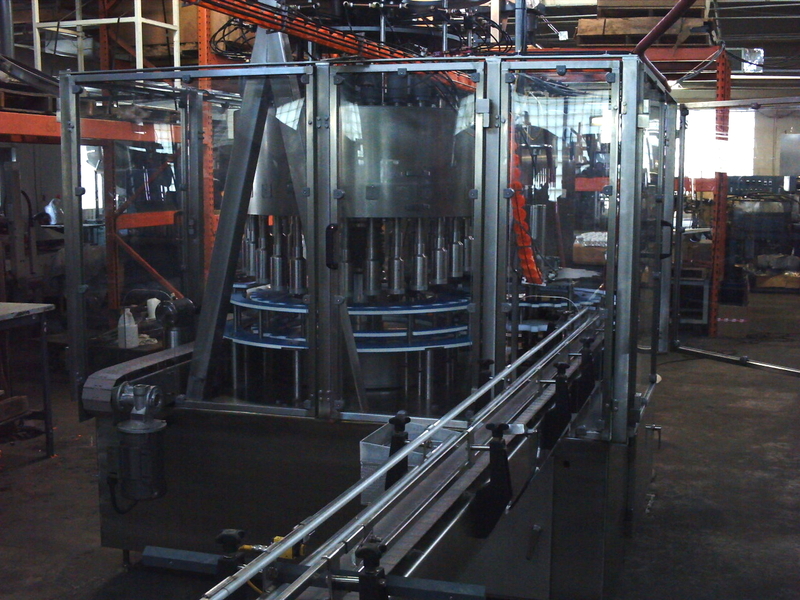 This unit was converted to a vacuum pick system, supplied turnkey with new manufactured sorting system, chute work, bottle handling change parts, and a completely rewire and reprogramming of the control system. Custom Built Bottle in Box Capper. Originating as a one-time custom build, Berks Plant Design and Maintenance, Inc. now offers custom built Bottle in Box cappers as per customers applications. Units are available to changeover from single bottle in box, to double bottle in box, and even triple bottle in box with very large variations in height. These units utilize a custom designed case singulation and timing system, and a single capping chuck to reach down inside the corrugated carton to place and torque the cap. Speeds range from 35 cpm on single cases, 20 cpm on double bottle in box, to 17 on three bottles in one box. Cap sizes run have ranged from 28mm to 63mm. 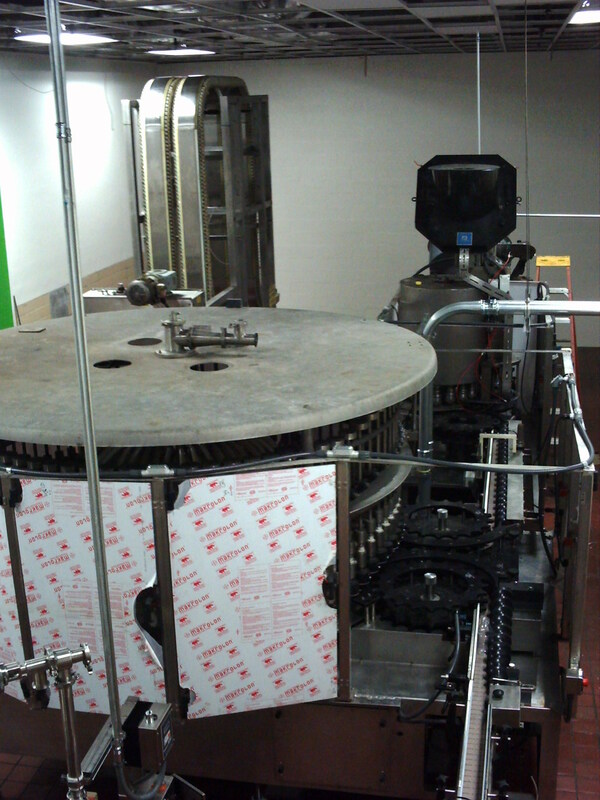 This Custom Built System was constructed at the request of a large beverage copacker. 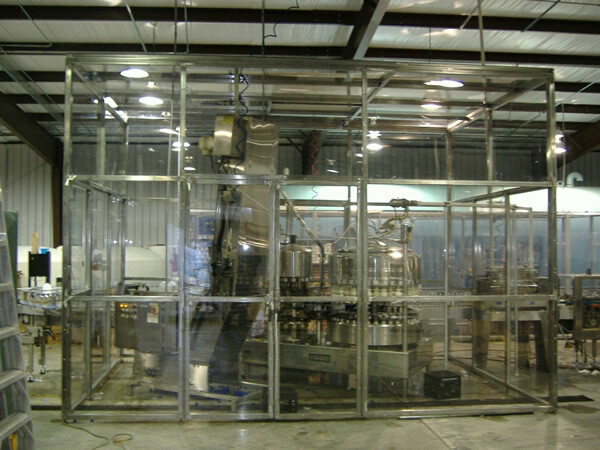 System consists of an all stainless steel US Bottlers PGF80 80 head pressure overflow filler, an Alcoa 24 head rotary pick and place capper, as well as a Silgan model VG Capper. All machines were sychronized using Kinetix servo drives on each unit and a very robust custom control panel. Extended feed screw kits were built and installed between each machine, from discharge star to the infeed of the next, with 100% container control through the system. There was an extreme amount of logic required as well, such as an automatic disconnect on the top end of the VG capper as to eliminate wear when not needed. When the VG was the operating capper, the alcoa stood stationary as well w/ bypass bottle handling change parts again, to eliminate unnecessary wear. Desired method for the system to operate obtained by a simple "mode" change on the HMI touchscreen. Units could be adjusted on axis "on the fly", which means one could tune the system while watching containers actually run, then just reset "home" on the servos when tuned. This system, while capable of 725 per minute operated at a comfortable 600 per minute, 16.9 oz plastic, and 16 oz glass.